The Indian River Reptile Zoo is a great place to get up close to some amazing reptile species including many venomous species of snakes. The Indian River Reptile Zoo is Canada’s only accredited reptile zoo that opened in 1999. and is the only reptile facility to stock antivenin for the venomous snakes that call the zoo home. 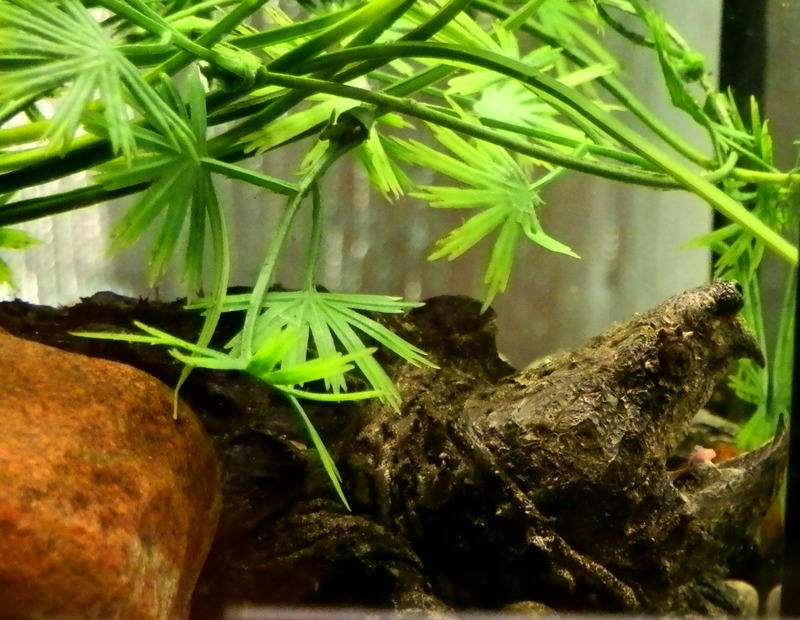 The zoo is home to over 200 reptiles with species native to Ontario as well as from around the world. The Indian River Reptile Zoo’s main building houses most of the zoo’s inhabitants and there are always keepers around to ask questions and learn more about a particular species. 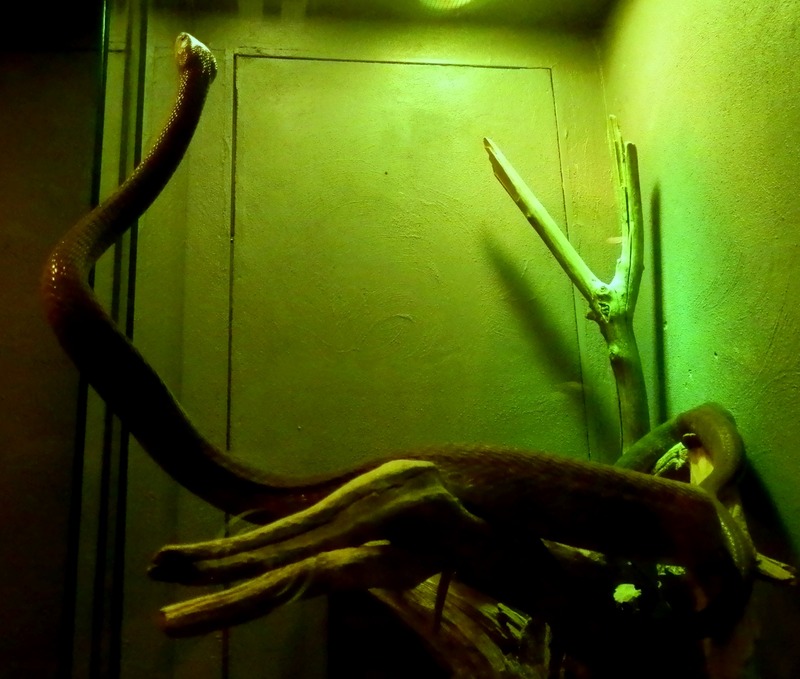 All of the exhibits are set up to mirror what the species’ habitat would be, like the rainforest-like setting for the striking eyelash palm pit vipers. The term ‘eyelash’ actually comes from the look of the scales above they’re eyes that look much like our eyelashes. Eyelash vipers come in a variety of stunning colours from yellow to green to red. Throughout the zoo you’ll see everything from turtles to tortoises, all sorts of snakes from constrictors to rattlesnakes and members of the crocodilian family that are small to VERY large – these large ones even have access to indoor and outdoor enclosures at their pleasing. I must admit I have a huge soft spot for turtles and tortoises, but my favourite resident at the zoo is always the forever moving, brilliant black mamba. Black mambas are the longest venomous snake in Africa and are very fast; it’s always entertaining to watch this amazing snake as it pushes its slim body several feet up and elegantly maneuver its exhibit. Its name is a bit of a misnomer as many think the snake is actually black but they’re really between a yellowish green to grey in colour, its the snake’s mouth that is black. 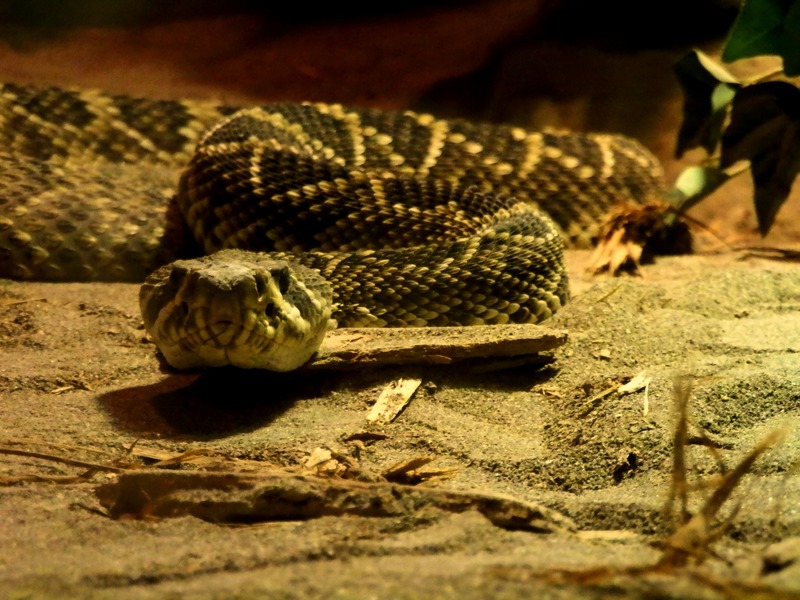 Another fabulous exhibit houses North America’s largest venomous snake species, the Eastern diamondback rattlesnake. These large snakes are beautiful and have great camouflage in their native habitat of south western United States. When many of us think of reptiles we think of dinosaurs so isn’t it fitting that after a tour of the indoor facility you can wander around the grounds to meet life size dinosaurs that move, growl, and even spit. I must admit I jumped a few times, but with all the dinosaurs are other educational activities and displays for children like the Dinosaur Dig where you can pretend you’re a paleontologist digging for real bones. Along with the reptiles and the dinosaurs the Indian River Reptile Zoo has much more to see and do. 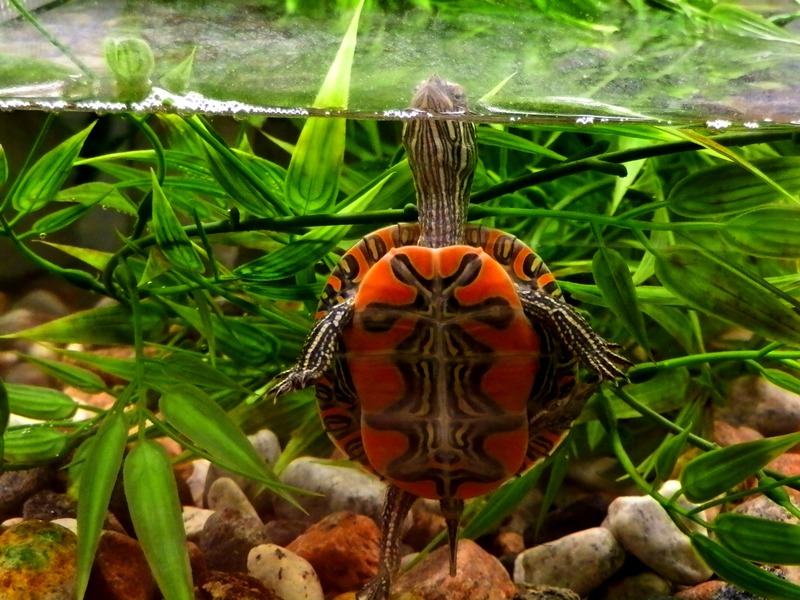 Visit their hiking trail through the famous Norwood Eskers, take a nature walk to the pond to glimpse wildlife and catch one of the zoo’s live educational demonstrations where you’ll meet various reptiles and learn more about them. On the day of my visit I was more than pleased with the knowledgeable, enthusiastic and entertaining presenter. She brought out an alligator snapping turtle…Did you know that they can’t retreat into their shells like most turtles, which is why they snap?…, an alligator and a Burmese python. I was also intrigued when she spoke of snake venom being research for use in treatments for humans. For instance, black mamba venom has pain relieving compounds that are as strong as current pain killers but with fewer risks and side effects that current drugs produce. Also, the copperhead venom is being looked at for treatment for breast cancer as protein in the venom is effective in attacking cancer cells. Amazing! So whether you’re looking to educate yourself and or your children on the majestic world of reptiles, or looking for an interesting and fun day out digging for dinosaur bones and having a Jurassic day with life sized dinosaurs, then Indian River Reptile Zoo is a great place to go and will hopefully leave you with a better understanding for reptiles. For more photos check out Lady of the Zoos on Facebook! Another great unknown place to discover in Ontario! We have visited there a few times and were always welcomed! They also have a very nice gift shop, not just filled with cheap crap like so many other places! Very true Wayne! The curator is really dedicated and passionate about what he does, and it shows!